“The Case of the Explosive Shoes,” FBI, July 18, 2015, https://archives.fbi.gov/archives/news/stories/2005/july/shoe_bomb071805. According to prosecutors, Reid had previously trained alongside al-Qaeda in Afghanistan from 1998 to 1999.“Richard Reid Fast Facts,” CNN, December 25, 2015, http://www.cnn.com/2013/03/25/us/richard-reid-fast-facts/; Michael Elliot, “The Shoe Bomber’s World,” Time, February 16, 2002, http://content.time.com/time/printout/0,8816,203478,00.html. 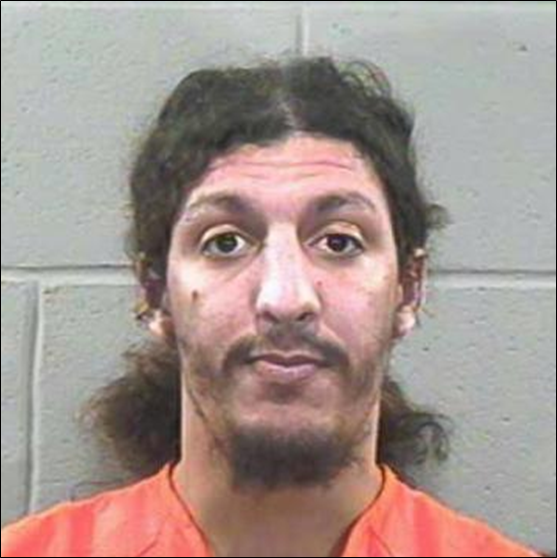 In October 2002, Reid pled guilty to eight counts, including attempted murder.Lee Moran, “Shoe bomber in Supermax: Richard Reid pictured for first time inside high security prison,” Daily Mail (London), October 10, 2011, http://www.dailymail.co.uk/news/article-2047093/Shoe-bomber-Richard-Reid-pictured-inside-US-Supermax-jail.html. He is serving a life sentence in prison in Florence, Colorado.Lee Moran, “Shoe bomber in Supermax: Richard Reid pictured for first time inside high security prison,” Daily Mail (London), October 10, 2011, http://www.dailymail.co.uk/news/article-2047093/Shoe-bomber-Richard-Reid-pictured-inside-US-Supermax-jail.html. On December 22, 2001, Reid attempted to detonate explosives hidden in his sneakers on board American Airlines Flight 63 from Paris to Miami, carrying 197 people. He was restrained by passengers and crew on the flight after trying to set light to a fuse connected to explosives in his shoes. Tests on the explosives later showed that the fuse was too damp to ignite.Lee Moran, “Shoe bomber in Supermax: Richard Reid pictured for first time inside high security prison,” Daily Mail (London), October 10, 2011, http://www.dailymail.co.uk/news/article-2047093/Shoe-bomber-Richard-Reid-pictured-inside-US-Supermax-jail.html. A doctor on board sedated Reid with a tranquilizer, and the flight was diverted to Logan International Airport in Boston, Massachusetts. Reid was immediately arrested.Lee Moran, “Shoe bomber in Supermax: Richard Reid pictured for first time inside high security prison,” Daily Mail (London), October 10, 2011, http://www.dailymail.co.uk/news/article-2047093/Shoe-bomber-Richard-Reid-pictured-inside-US-Supermax-jail.html. Peter Herbert, ‘I knew exactly what I was doing,’” Guardian (London), August 23, 2006, https://www.theguardian.com/world/2006/aug/24/alqaida.terrorism. Reid is also reported to have met Zacarias Moussaoui, who had been a member of the Brixton Mosque and was later charged with conspiracy in the September 11 attacks.“Who is Richard Reid?,” BBC News, December 28, 2001, http://news.bbc.co.uk/2/hi/uk/1731568.stm. In 1998 he left the Brixton Mosque for the Finsbury Park Mosque in north London, where he attended sermons led by extremist cleric Abu Hamza.Peter Herbert, ‘I knew exactly what I was doing,’” Guardian (London), August 23, 2006, https://www.theguardian.com/world/2006/aug/24/alqaida.terrorism. Peter Herbert, ‘I knew exactly what I was doing,’” Guardian (London), August 23, 2006, https://www.theguardian.com/world/2006/aug/24/alqaida.terrorism. According to British authorities, Reid trained at the Khalden camp near the Pakistani border. Reid was also influenced by al-Qaeda in the Arabian Peninsula (AQAP) cleric Anwar al-Awlaki, according to media reports.“New York on alert over possible revenge attacks after Bin Laden hunters wipe out Al Qaeda boss who preached hate in America,” Daily Mail (London), October 1, 2011, http://www.dailymail.co.uk/news/article-2043772/Anwar-al-Awlaki-NYC-alert-possible-revenge-attacks-Al-Qaeda-boss-killed.html#ixzz4L5vHk5AL. In 2015, Reid claimed from prison that his plot had failed because it was God’s will. “I believe that it wasn’t supposed to happen, not because it was displeasing to God … rather because it was not either my time to die nor that of those on the plane with me, and he had other plans for me.”Tracy Connor, “Shoe-Bomber Has ‘Tactical Regrets’ Over Failed American Airlines Plot,” NBC News, February 3, 2015, http://www.nbcnews.com/news/us-news/shoe-bomber-has-tactical-regrets-over-failed-american-airlines-plot-n296396. In February 2015, Reid commented on the January 2015 attack on the Charlie Hebdo offices in Paris, saying that he did not see the attack as a “tragedy,” concluding that, “if you play with fire you might get burned, so I have no tears for those who insult Islam.”Tracy Connor, “Shoe-Bomber Has ‘Tactical Regrets’ Over Failed American Airlines Plot,” NBC News, February 3, 2015, http://www.nbcnews.com/news/us-news/shoe-bomber-has-tactical-regrets-over-failed-american-airlines-plot-n296396. Abdel Rahim“Who is Richard Reid?,” BBC News, December 28, 2001, http://news.bbc.co.uk/2/hi/uk/1731568.stm. Abdur-RaheemKunal Dutta, “Shoe bomber Richard Reid shows no remorse after a decade in prison for failed terror atrocity,” Independent (London), February 3, 2015, http://www.independent.co.uk/news/world/americas/shoe-bomber-richard-reid-shows-no-remorse-after-a-decade-in-prison-for-failed-terror-atrocity-10022074.html. The Shoe Bomber“Who is Richard Reid?,” BBC News, December 28, 2001, http://news.bbc.co.uk/2/hi/uk/1731568.stm.